Companies use budgeting and forecasting software to plan the financial resources they need to support their business activities in the future. This type of software helps companies estimate future revenues and expenses across multiple departments or business entities. Managers and executives use this type of software to create budgets and forecasts for each department. Accountants use budgeting and forecasting solutions to consolidate all departmental budgets to develop an overall company budget, which defines how funds will be allocated to each department. This type of software also empowers accountants to identify possible changes in revenues and expenses, which may impact the profitability of the company. While most accounting products offer basic budgeting features, companies opt for budgeting and forecasting software when in need of advanced functionality. This type of software requires financial and operational information from tools such as accounting software and ERP systems. For advanced financial performance analytics, budgeting and forecasting software is integrated with corporate performance management software. Budgeting and Forecasting reviews by real, verified users. Find unbiased ratings on user satisfaction, features, and price based on the most reviews available anywhere. We provide businesses using Xero, Quickbooks Online or FreeAgent with cash flow forecasts that are more accurate, always up to date and take a fraction of the time to prepare when compared to spreadsheets. Using the direct method of cash flow forecasting (reading all information on bills, invoices and other transactions) we are able to create robust cash flow forecasts that are visual, easy to understand and give a 'real' picture of where a business is going in the short to medium term. The accuracy of the data in Float means businesses are alerted to any cash shortages or surpluses well in advance, allowing them to take action. Float makes visual scenario planning a breeze, reducing a task that usually takes hours in a spreadsheet to minutes, businesses can make informed decisions at the click of a button. 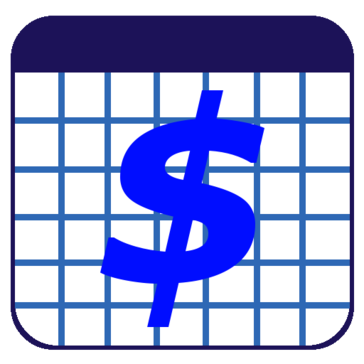 CalendarBudget is web-based online budget tool that runs in your browser or mobile device. It's calendar interface shows your financial activity on the day it actually happened and is designed to be easy to use and to allow you to both TRACK and PLAN your money in the past and future. No complicated system that takes weeks to get used to - just walk up and use! Maintain rolling budgets and monitor performance against fixed budgets at the same time. Brixx is a financial planning and forecasting solution for startups, small businesses, and accountants. Budget Accelerator makes it easy to create a budget you'll actually have time to stick to. Perform any budgeting function from inside Excel without the issues of a typical manual process. Take control of the budgeting process to develop timely, accurate, and consistent models. The Budget Cruncher provides a tool that can take the pain out of both building a budget and monitoring performance against it. Budgeto is the fastest & easiest way to build professional business budgets online. Use Budgeto to prepare your annual business budget, review and adjust your financial projection every month, and always have a clear vision of your company's future cash flow situation. Export your budget to a print professional PDFs (including a profit and loss statement, a cash flow statement, a balance sheet, and a complete set of financial ratios) and impress your future investors. BudgetSimple is a free online budgeting solution. Budgyt is a cloud-based software solution that replaces clunky spreadsheets with a budgeting tool designed to create budgets faster, more accurately and more reliably. Calxa offers budgeting and forecasting solutions for small businesses and non-profits. Driver-based Budgeting and Rolling Forecast software Visual Cash Focus integrates budgeting, planning, forecasting, rolling forecasts, consolidation and financial reporting in a single tool. For small to large organisations Visual Cash Focus suits most industry types. The software is simple, easy, accurate and fast and removes the potential for errors inherent in spreadsheet budgeting solutions and is easy to implement. CloudBudget is a company that utilizes the Force dot com website to help businesses control their budgets. 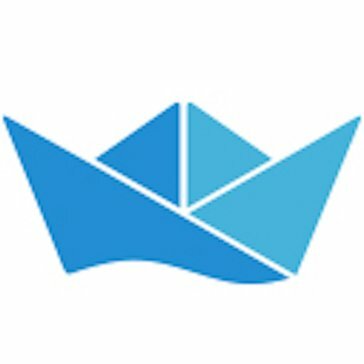 COMMITLY is a cloud-based cash flow management web app taking out the pain of financial management for small companies. It's easy and intuitive and no online accounting tool is required. Just connect your company's bank account and it works! Currently, over 4000 banks in Germany and Austria are supported. COMMITLY focuses on the most important aspect for business owners - the cash flow of your company. Because without cash, companies fail. Connect budgets and forecasts to business drivers to gain better insight into organisational performance. PhoneControl provides the information you need when you need it - in real-time if required. FinanceSheets comes with pre-built templates so you can set up your Sales Plan and Expense Budget quickly and start scenario analysis. More accurate forecasts mean higher order fill rates and less disruption to your purchasing and/or manufacturing processes. This is especially true for long lead time items. GIDE Financial Modelling offers business friendly collaborative modelling software for CFOs and their teams. Hi there! Can I help you find the best Budgeting and Forecasting solutions?